Sam Walton: Made in America is the story of how Walton built Wamart. I found here some huge lessons learned. Putting Small Business Out of Business? 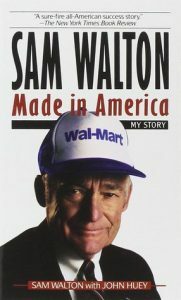 I know of a friend of mine who didn’t want to read Sam Walton: Made in America because he didn’t feel that a retail chain could teach him, a tech entrepreneur, anything relevant. If that’s also you, I would invite you to abandon that mindset and give this book a real chance. Sam Walton was born in 1918 in a lower class family. His parents didn’t have much but always took proper care of him. His father was a hard working man, but he never managed to start his business because, out of pride, he refused to take out a loan. Lesson learned: there is noting wrong to take a loan if it helps you move forward towards your goals. At a young age Sam Walton helped his mother in the milk business. He would milk the cow and then go out and sell the bottled milk. In 7th grade he took his first official job delivering papers in the neighborhood. Walton attended college and never stopped working to finance his studies. Indeed he even managed to expand. His papers delivery business became a small business where he hired new delivery men. You can make a good income as long as you provide value. In 1945 Sam Walton opened his first discount shop. It was doing well, but he was always looking for ways to do better. And he took ideas from all over the places. Especially from his competitors. Back then checkouts used to be scattered around the store. But when Sam saw a store who only placed two checkouts at the front, he loved the radical idea. He immediately did the same and saved money reducing the number of cashiers. And he made it more efficient. When visiting a supplier Walton noticed the staff huddling together and cheering at the beginning of a workday. He loved the idea and immediately did the same in his new flagship store. The “Walmart cheer” was born. Walton was a very successful man in retail. But it was relatively late, in 1962 that he introduced Walmart. In one of his usual journeys observing competitors and other retails, he became convinced that discount stores were the future. In a way, Walmart was another experiment for Sam. Wamart indeed was ugly to start with, but the question for Walton was: would shoppers shop strictly because of lower price? It turned out, they would. Walton always wondered what he could do to make the shopping better and easier for the customers. When he realized that farm families drove into town on Saturday to stock up he analyzed their behavior. They would need to go to different stores that were small and specialized. They’d need to find parking each time, and all stores would close early. He answered with bigger, one-stop stores, long opening hours and free and abundant parking. 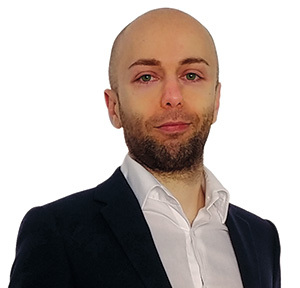 Lower prices and a better shopping experience was the best way to attract customers in Sam’ mind, and he never stopped looking for ways to improve on both. Sam Walton’ stores were so successful that every time he would open a new one in a new town, local smaller shops would go out of business. That draw a lot of criticism on Walmart. But Walton had a different philosophy: if customers shopped at Walmart it was because Walmart gave people a better experience. Walton indeed wasn’t afraid of other big retailers: he thought that competition improved their acumen and made Walmart better. It was in trying to lure customers away from a local Kmart that Walmart came up with its first big discount tactic. The local manager wanted to make a big promotion on laundry detergent but to get the prices down he needed to order 3.500 cases. At this point Walton thought that was crazy. But he finally got around that the idea could have worked and went ahead with it. And big orders for lower prices has since become Walmart modus operandi. Lesson Learned: lower your prices to sell more and you still come out with a bigger profit. In Little Rock a new Kmart opened and tried to lure customers away from Walmart, again, with low prices. Walton gave the order that everything in Walmart has to be as cheap or cheaper than the Kmart’s items. During the ensuing price was toothpaste reached an all time low of 6 cents when Kmart finally gave up. Lesson learned: every time a new competitor moved into town Walmart had to push its prices as low as possible. Walton always put customers’ first. But he initially didn’t do the same for the employees. One day in 1955 a store manager called Sam to say he’d raised his stores’ employees wages from 50 cents to 75 cents. These were pitiful wages even back then -less than 5 dollars in 2018 terms-. But Sam was unmoved. He told the store manager to immediately cancel the raise and restore the lower wages because he hadn’t hit his goals yet. However, Walton changed idea after a trip in England in 1971. There he saw a store that would list its employees as “associates”, and he began thinking that it’d be wonderful if Walmart could consider employees as associates instead of employees to be managed. He also grasped here a fundamental truth: if he treated his employees well, they’d treat his customers well. Upon his return to America he decided then to call his employees associates and he started a cash and stock sharing so that all employees could take part in Walmart’s success. Walton was making good profits with Walmart, but he didn’t let his money grow. Or, God forbid, enjoy a lavish lifestyle. Instead Walton used the proceed of his stores to open up new stores. During the first 8 years Walmart was considered by some a failure because it was financially treading water. Instead, it was expanding and leveraging its earning power. Usually defining moments for companies happen in their early stage. Instead it happened much later for Walmart. In 1974 the company was doing so well that Walton decided he could enjoy an early retirement. He promoted Mayer, one of his two vice president executives to CEO, and stepped aside. But he soon realized that the company split in two: one favoring Mayer and the other side favoring the other VP. Two years later the internal faction was becoming so big that Sam met with Mayer to claim his CEO job back. But Mayer left together with dozens of top level managers who supported him. Walmart’s stock prices fell so low that Walton worried whether he’d be able to even salvage the problem. But he quickly hired new managers and convinced David Glass, an old friend, to replace Mayer. David Glass turned out be awesome in the post and a major help in rescuing Walmart and pushing it to even higher heights. He was indeed later nominated CEO of Walmart. This is the biggest takeaway for me. Most people put their ego ahead and look at competition to gloat on what they’re doing better. Instead, Walton would strictly look at competitors to see what they were doing well. When Sam promoted one of his VP as CEO a power struggle erupted. Always watch out when you need to promote one person out of a small pool of candidates as people will naturally be jealous. Taking the job away from Mayer when he was the CEO was a risky move. Nobody takes demotions from a power position lightly. 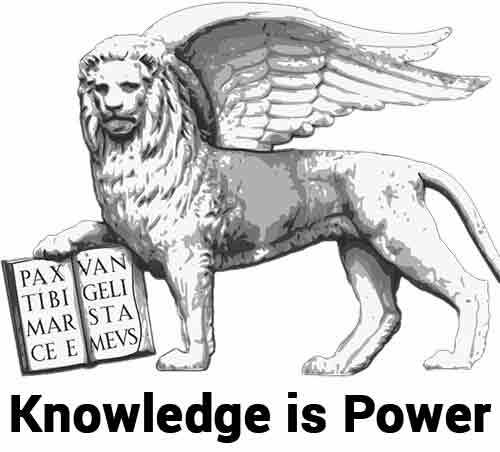 Always watch out who you give power to -and how you can take that power away in the most efficient way possible-. As an autobiography, you have to keep in mind that Walton might have a tendency to embellish his own story. Indeed I think he would have come across even better if he had put some more third party criticism. Honestly at times all the words of affection and caring for the “associates”, or employees, sound a bit empty marketing speak. Of course, Sam Walton might have really believed in what he says, but that stands a bit in the way of Walmart being one of the richest corporations and one of the lowest paying employers in America. In today’s tech world it would be easy to discount Sam Walton: Made in America as yesterday’s success story. Instead, it’s jam packed of mindsets of success. It might be one of the biographies in which I’ve learned the most so far. Sam Walton: Made in America was a great read. It would be easy to discount this book as irrelevant for many for younger generation. After all, what’s got a retailer to teach? Well, it turns out: a lot. The mindsets are the same whether you’re in tech, retail, or arts. And this is probably the biography I have enjoyed and learned the most from so far. I am starting to see a trend among those who build multi-billion dollars companies. Even though I’m not a big fan of a life only for work, I learned hugely from this book. I can only recommend Sam Walton: Made in America.